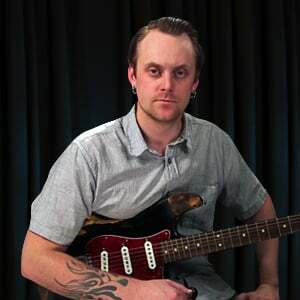 In this tutorial, Henrik Linde will teach "Drivin' My Life Away", as made famous by Eddie Rabbitt. We'll start with a song introduction and a look at the gear and tone, then drive right into the intro and the acoustic verses. The acoustic and electric chorus parts are next, then the interlude on both guitars. We'll learn the electric verses and variations before we do full and single guitar performances, then you'll take over in the jam along.